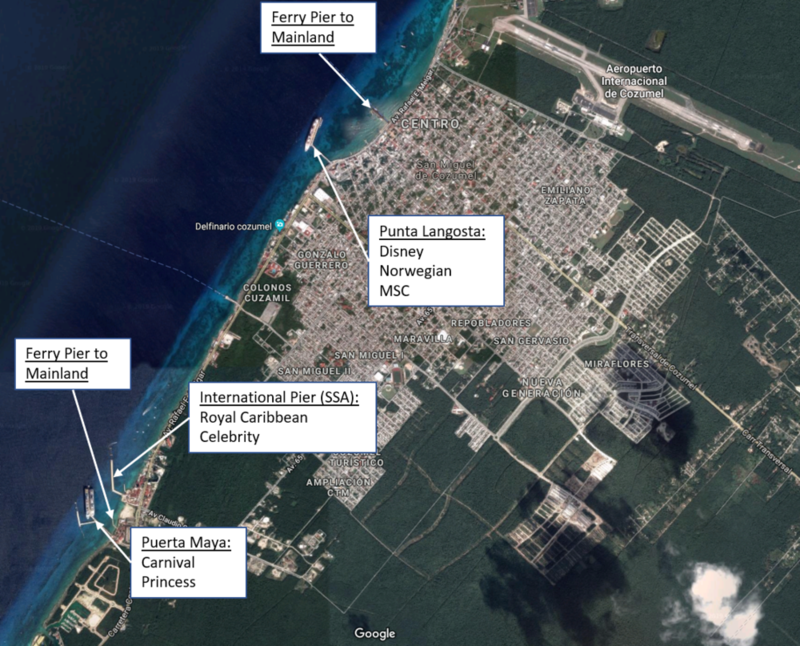 Cozumel actually has three different cruise ship piers so where you dock will depend on what cruise line you are on. The three cruise piers in San Miguel (Cozumel) are the Puerta Maya pier (Carnival, Princess), the International Pier (SSA) (Royal Caribbean, Celebrity) and the Punta Langosta pier (Disney, Norwegian, MSC). The Punta Langosta pier is closest to San Miguel While the other two piers are right next to each other about 5 miles south of San Miguel in a shopping / tourist area. Passenger ferries to the mainland (Playa del Carmen) are available from the Downtown Ferry Pier near the Punta Langosta pier as well as a ferry pier between the International Pier and Puerta Maya pier primarily for cruise ship excursion passengers. If you arrive at the Punta Langosta pier it is a short walk to downtown San Miguel. There are also the typical port shopping and restaurants near the exit from the cruise pier. The other two piers are a short 5-minute ride from San Miguel but they also have their own port shopping and restaurants at the exit from the cruise pier. For mainland shore excursions or to visit Puerta Maya you will need to take a passenger ferry which has two departure points, one near the Punta Langosta pier and one between the International Pier and the Puerta Maya pier. 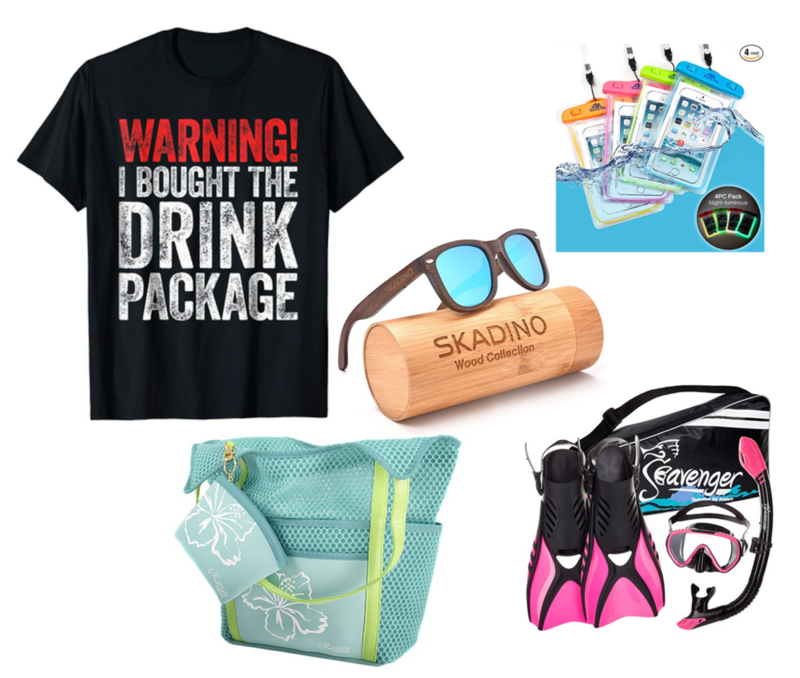 The cost of this is typically included in your shore excursion. It is about a 45min ride and there is a bar on the ferry for refreshments.